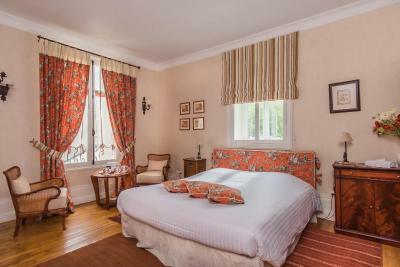 Lock in a great price for Manoir Du Parc – rated 9 by recent guests! Very clean. Beautiful facility. We stayed in the Manor in a typical B&B style room. 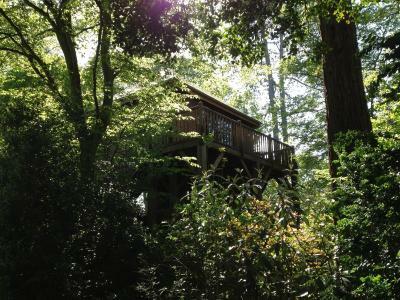 There is also a more modern building behind the manor with several flats, and several "cabins/cottages" in the back of the property that are modern, raised "treehouse" style buildings each with a private hot tub underneath. Very clean. We were in the off season so we were the only guests on the property. Very helpful and nice hosts. I'd imagine it would be even better during the summer months. Good location, a couple blocks from the main part of the town. Would absolutely stay there again! 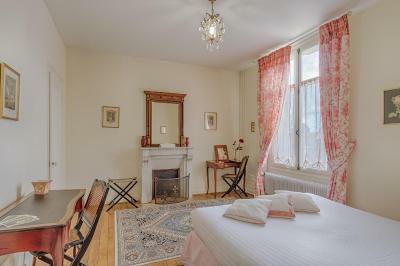 The room is as big as an apartment with enough utensils and appliances for you to use. 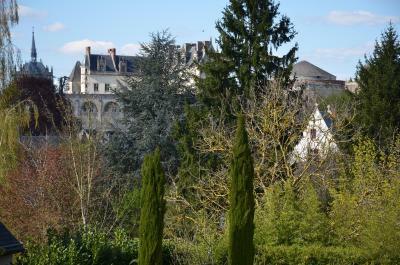 Good location to explore the Chateau and city nearby. Very accommodating hostess. She was very most helpful during our stay. 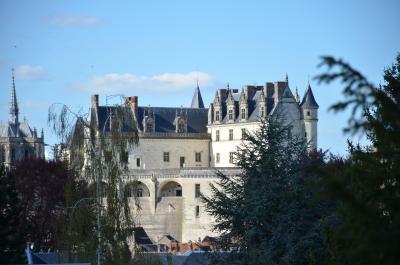 It was very close to the castle of Amboise. Parking on site was a bonus. Overall, it was a very pleasant stay, for a good value. The hotel was elegant and lovely. The staff was pleasant and completely accommodating. Such s treat in our travels. The location was very good. We could easily walk into the center of town where the restaurants were. Having private parking on the grounds was wonderful. Lovely place with an awesome breakfast and friendly management. François was very helpful on check-in and provided us with great recommendations for restaurants and other activities. The breakfast was set in a charming dining room and we spent time chatting with other guests and lingering over excellent coffee. Parking is very difficult in this area so the fact that this property offers secure off-street parking is a huge plus. 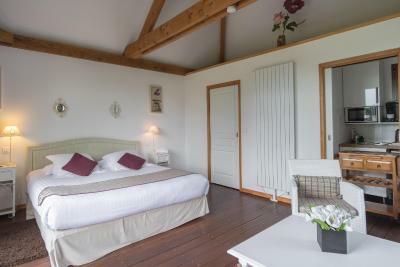 Our lovely room was light, airy and nicely appointed with a large, very comfortable bed. 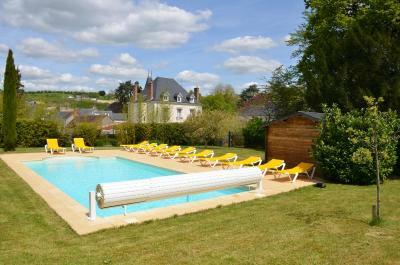 There is a big garden and pool although we didn’t spend any time there as we were out exploring the town. 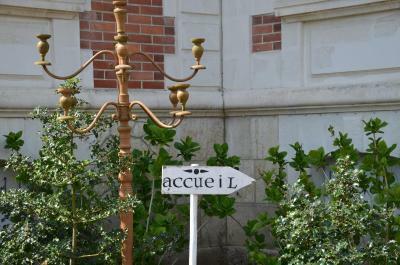 Great location, 5 minute walk to the Main Street and the Château. 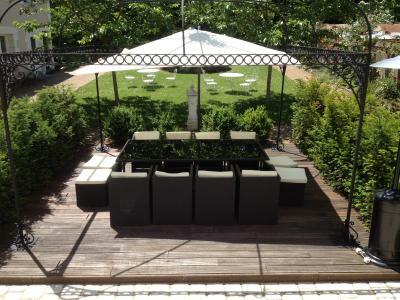 Small kitchenette allowed us to prepare a meal ourselves one evening and we ate outside in the very lovely garden. The room was very large, wth a separate bedroom and a large combo kitchen/dining/living room. Well appointed,comfortable room. Generous breakfast. 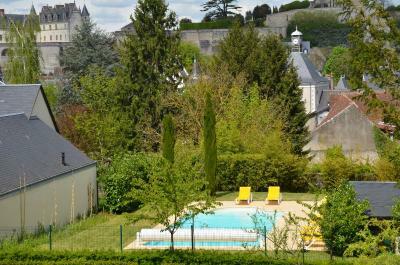 One of our top picks in Amboise.Manoir du Parc is located in the heart of Amboise in the Loire Valley. 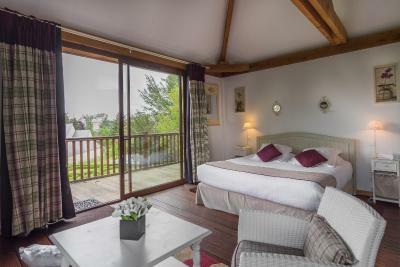 It offers uniquely decorated rooms, chalets and cottages with free Wi-Fi and free, closed parking. 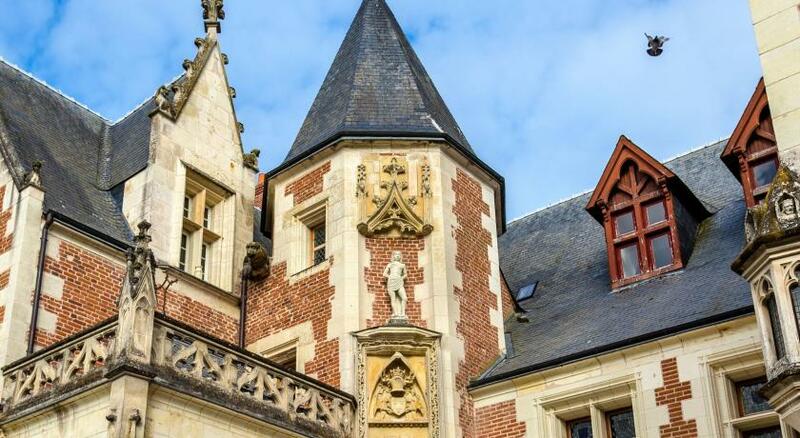 Amboise Chateau is just 1,300 feet away. 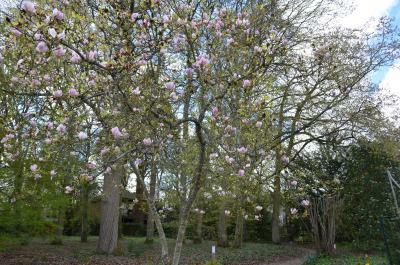 Accommodations is set in a peaceful garden setting with century-old trees. 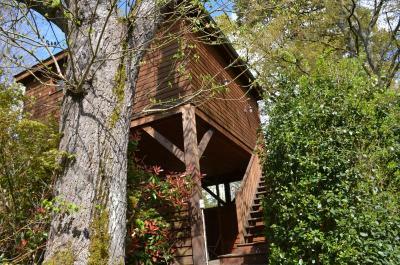 Rooms include a lounge with fireplace, flat-screen TV with satellite channels and private bathrooms. 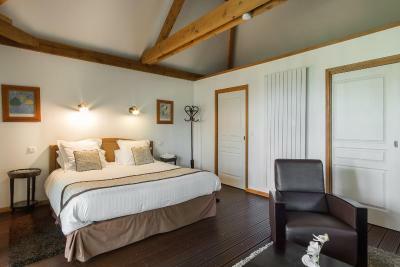 At the Manoir Du Parc there are studios and 2 guest rooms in an annex building. 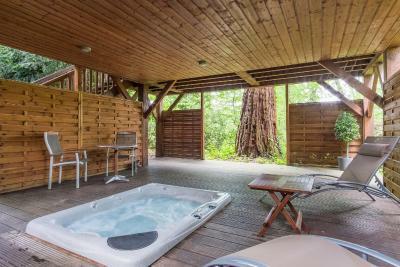 There is also a wooden lodge located among the trees with a private hot tub and sauna. 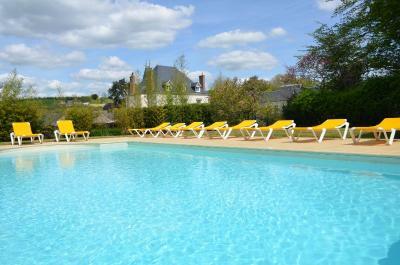 There is a heated outdoor swimming pool open from May to September. 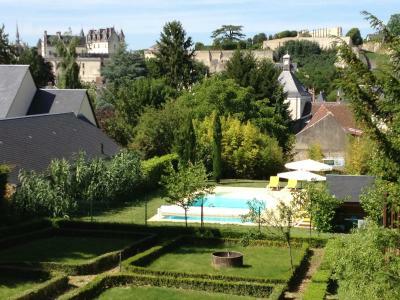 뀐 Located in the top-rated area in Amboise, this property has an excellent location score of 9.4! 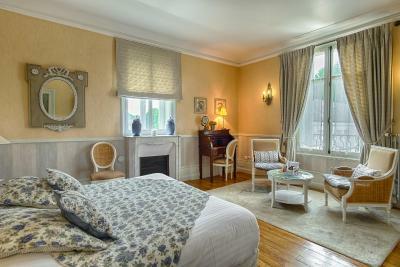 When would you like to stay at Manoir Du Parc? 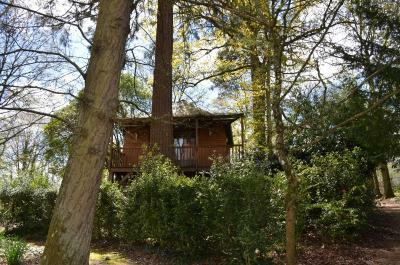 The rooms are uniquely decorated and have a view of the park. 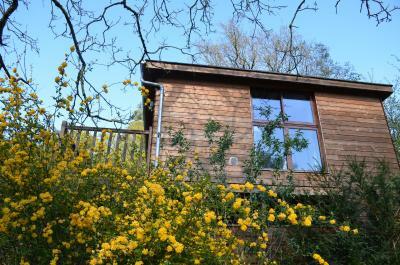 They include facilities for making hot drinks and a private bathroom. Breakfast is included. The studio includes a kitchenette, satellite TV and a private bathroom. 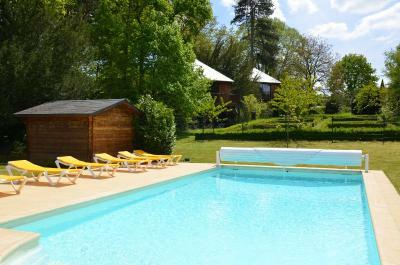 This chalet offers a private entrance, a terrace and a private hot tub. 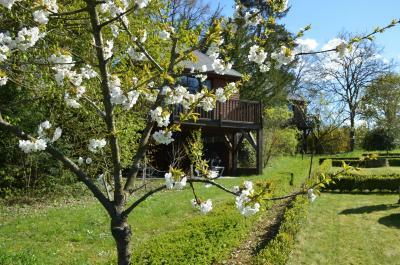 With a garden view, this apartment includes a double bedroom, an equipped kitchen with a dishwasher, a living area with satellite TV and sofa bed and a bathroom with a hairdryer and a separate toilet. 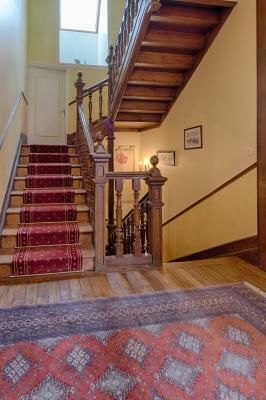 The rooms are uniquely decorated and and have a view of the park. 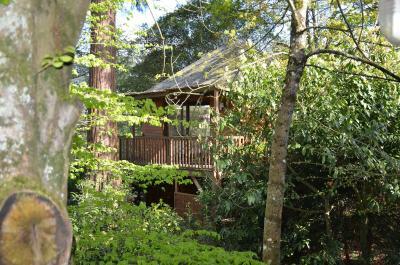 They include facilities for making hot drinks and a private bathroom. Breakfast is included. 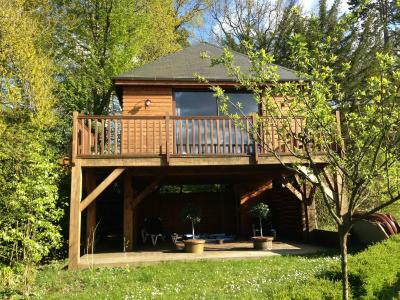 This independent cottage offers a private entrance, a terrace and a private outdoor hot tub. 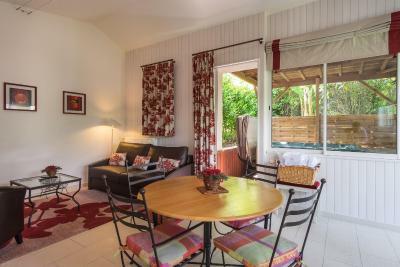 It includes a living room with an LCD Satellite TV, a fully equipped kitchen and a bathroom with a shower. 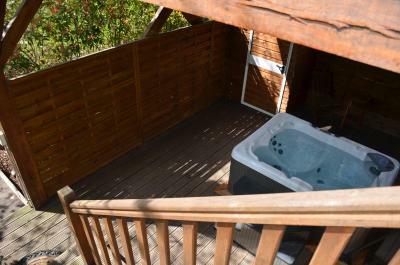 This independant cottage offers a private entrance, a terrace and a private hot tub. This room offers a view of the castle. 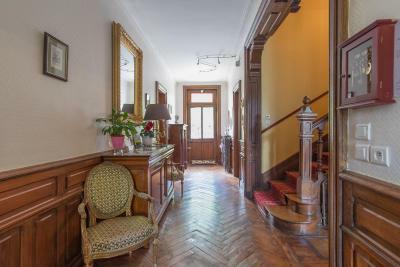 With a vintage décor, this apartment is set on 2 levels and includes an LCD, satellite TV, a kitchenette and a private bathroom. It is air-conditioned. 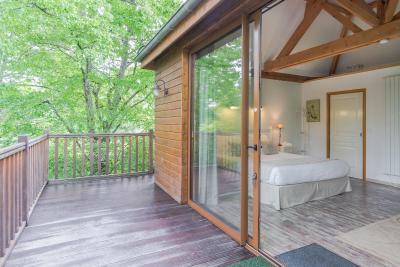 This apartment includes an electric kettle and a private bathroom with a spa bath. Breakfast is included. House Rules Manoir Du Parc takes special requests – add in the next step! Manoir Du Parc accepts these cards and reserves the right to temporarily hold an amount prior to arrival. Reception opening hours: 16:30 to 19:00. Please note that check-in is not possible outside reception opening hours. In case of check-in after 19:00 guests are kindly asked to inform the property 24 hours prior to arrival. 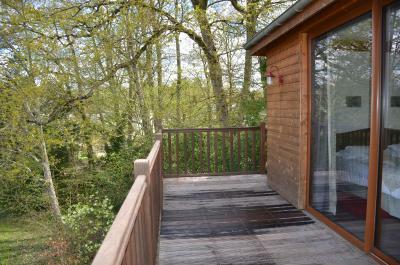 For the studios, cottages, wooden chalets and 2-room apartments, please note that the end-of-stay cleaning is included in the price. 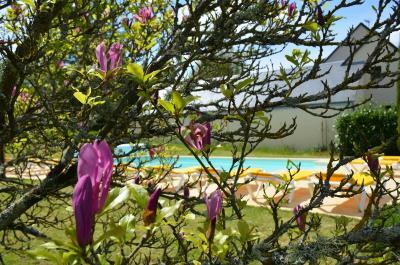 For the studios, cottages, wooden chalets and apartments without hotel service, linen and towels are provided only upon arrival. Additional cleaning, linen and towels are at an additional cost. 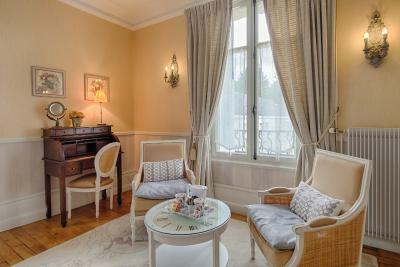 Please note that the breakfast is offered exclusively to guests staying in the Manoir du Parc rooms. Great location. The host gave us a warm welcome. Nothing! Other than maybe a sign that sticks out a little more from the front wall to make it easier to see from the street. Fresh fruit at breakfast, not canned. Close the door on kid (and dad) yelling at thr top of their lungs while playing (the owners). If only they would close the door to the living room. Bed was very comfy Suite was roomy and location excellent. Not really. Just the GPS did not take me directly to the property main entrance, it took me to the next street somehow. The shower was very slippery and there was no temperature control valve so the water temperature could be very hot. The location is great and having a kitchen was very convenient. We had to drag our luggage accross the big garden. Not minor problem for us, but a big-wheeled cart could have helped out; might be an idea to purchase one. We stayed in the bungalow in the very quiet garden. It was really cool with an awesome jaccuzi downstairs! All very neat and clean. We were also received very friendly by the owner of the lovely hotel. Our room in a side building and was very plain. It was totally adequate but not very interesting. If we wanted breakfast, we would have to pick up a tray and take it back to the room. Guests in the main building ate in the dining room. 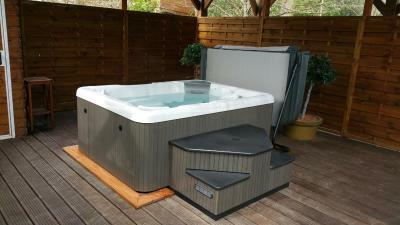 Staff was extremely helpful, we enjoyed our private hot tub in the quiet of the woods, underneath our comfy bungalow. amazing! This is a wonderful place. We were lucky enough to book three rooms here the day before we arrived. 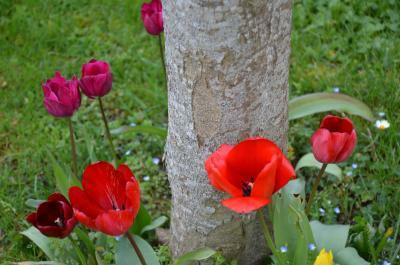 The hosts were lovely, the rooms large and well appointed and the breakfast was excellent. We would have stayed another night but unfortunately it wasn't available. Very clean room, comfortable bed, well furnished, good shower facilities, a host who was welcoming, even late at night, nothing was too much trouble and a great choice at breakfast. The pet cat was adorable. 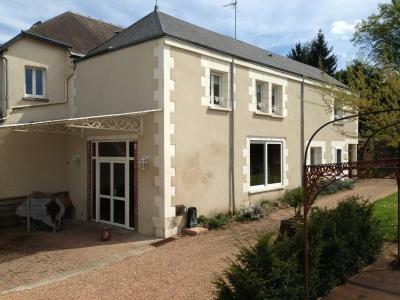 Good location, near to restaurants,chateau and town centre. Free parking on site, with security gates. We would certainly stay at this property again.